Biked from Lake Bodensee (Konstanz) to Fussen and then joined the Via Claudia Augusta bike path over Fern Pass into Austria. Passed through Innsbruck (Austria) and over Brenner Pass into Northern Italy. 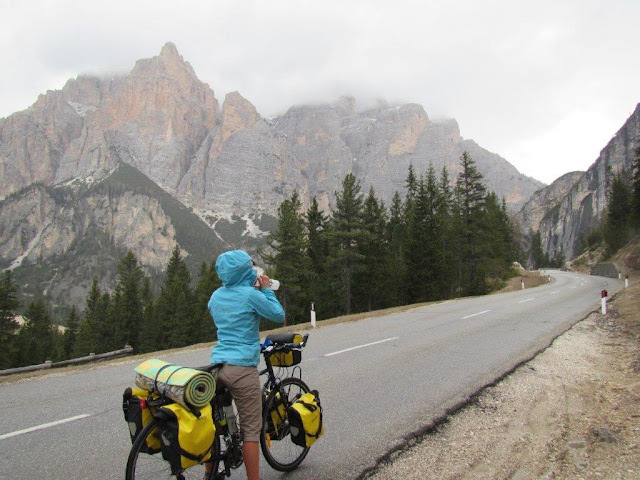 Spent a few days in the Dolomites – a UNESCO World Heritage Park, leaving from Brixen over Gardena Grodner Joch and Valparola passes, descending into Cortina d'Ampezzo. Celebrated crossing 2000kms of riding and are currently just outside of Venice, back on the coast for the first time since the start of our time in The Netherlands. What a journey the last week has been! 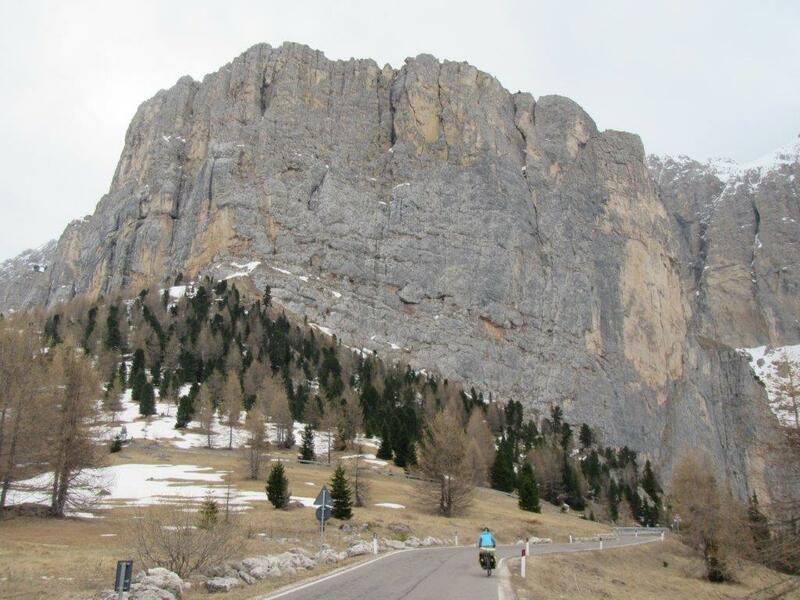 It has included our biggest ascents and descents, some spectacular scenery, great people and of course, good food! 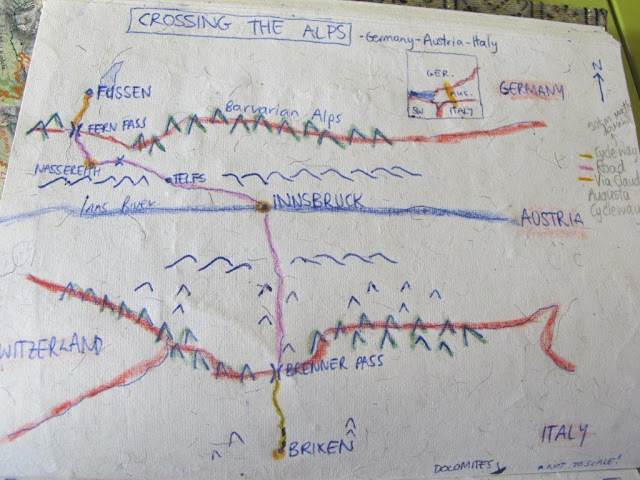 Whenever you see the words “CROSSING THE ALPS”, you need to imagine these being said in a very excitable, enthusiastic, adventuresome way, which could include feelings of exultation but also despair! We were enjoying Germany so much we continued on through to Fussen, a town at the foot of the Bavarian Alps, famous for two huge castles and the best serving of “Pork Knuckle” within the Bavarian region - a delicacy we attempted to try but the only place open on a Sunday night had none left! Gutted! 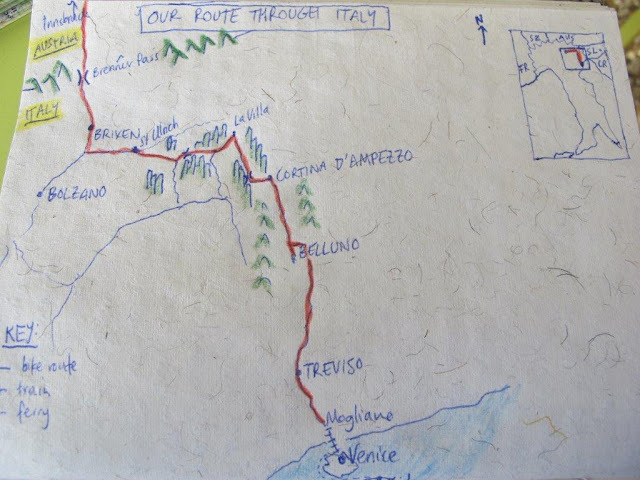 It was with much anticipation that we set off from here to CROSS THE ALPS, following the Via Claudia Augusta, the earliest trade route through the mountains to Austria. For those who love a bit of context! Heading off from Fussen into Austria, towards Fern Pass - the first big climb. ** A note about cycle paths – we have a love/hate relationship with them. While offering great scenery and some time away from traffic, they almost always detour through every village and past every church steeple – fun for a while but not so awesome if you are trying to get from point A to B. Roads are often graded perfectly for cycling, while cycle paths often seem to be built by people who don’t actually ride bikes – with steep ascents sending you frantically changing gears just to make it to the top of every small, unnecessary rise in the path! We have sometimes given up on them and found our way back to the road for some fast kilometres and some kinder gradients! The climb to Fernpass on the Via Augusta started well, then turned steep and gravelly so we headed for the road. This worked well until we came to a sign with a picture of a bicycle, tractor and old fashioned car. It said something underneath – perhaps “please look out for cyclists, farmers and old-car enthusiasts…..”, however a few km later we realised it probably actually said “PROHIBITED!! !” as a motorcyclist zoomed past us wagging his finger. 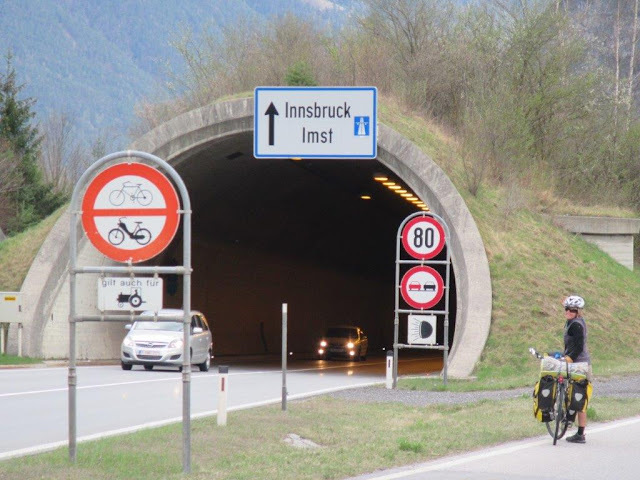 We weren’t sure why until around the next corner the road started descending, big walls appeared and the dark mouth of a tunnel appeared…..a good lesson for our first day in Austria. 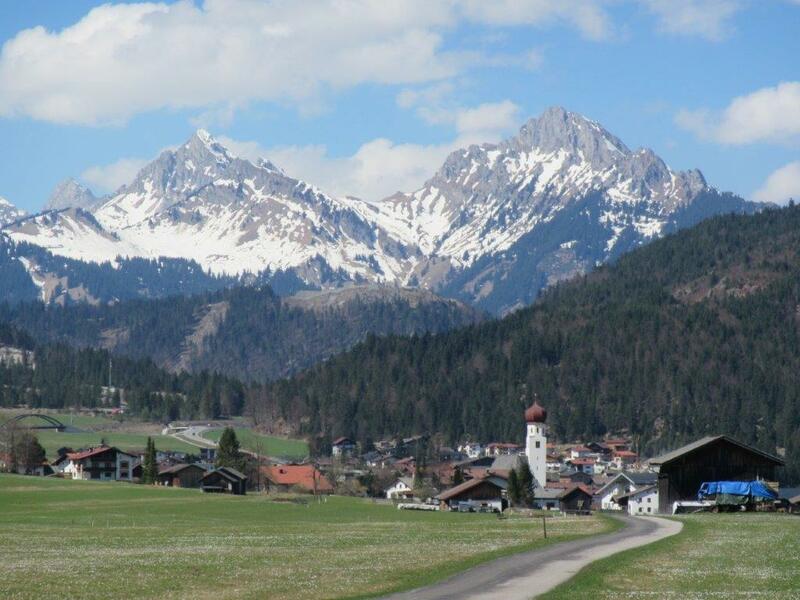 We turned back, found the cycle path and enjoyed the scenic tour through the Austrian countryside – a delightful mixture of green pastures, cute houses and stunning mountain backdrops! A more relaxing tunnel experience than the one mentioined! 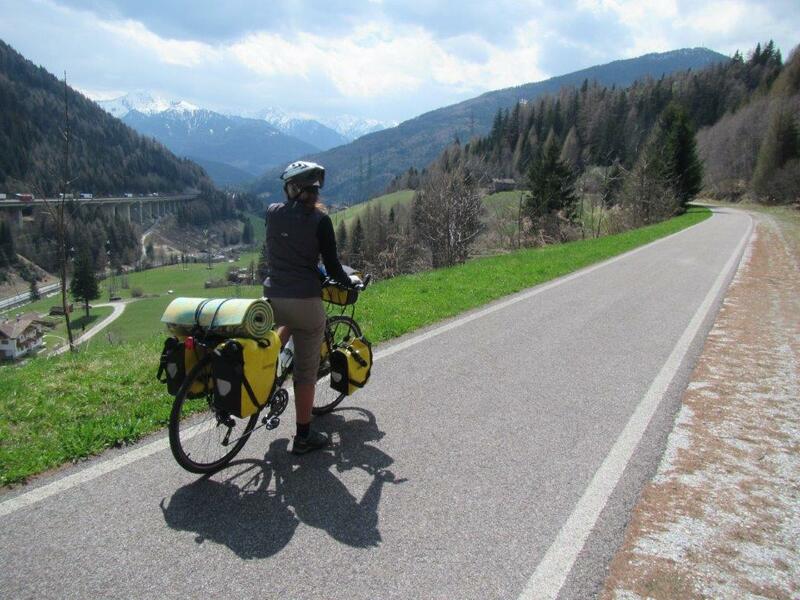 The last few kms were back on a steep gravel road which we slowly chugged up (hard work on a fully loaded bike, but expected when CROSSING THE ALPS!!! 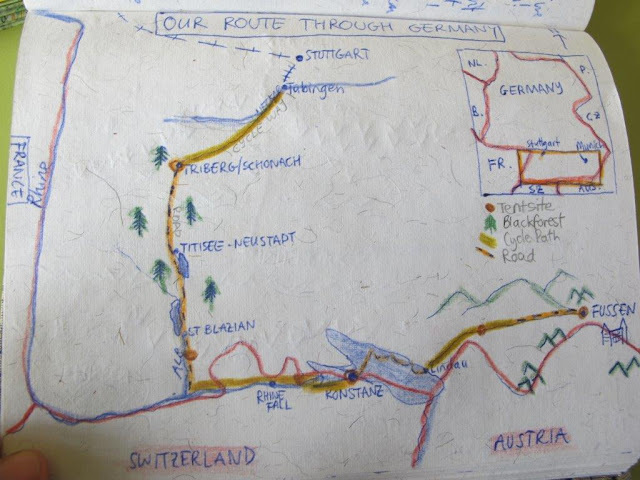 ), but we were rewarded when we found a path from the top which rejoined the road – an opportunity we took with great enthusiasm – 30km of fast, smooth downhill in the evening light. The first of many fun descents on this mountain crossing journey!! Thank God! An old coin box to deposit your thanks to the gods for safe travel over Fern Pass! From Nassereith we left the Via Claudia and headed east along the Inns valley to Telfs and Innsbruck, an awesome town surrounded by mountains on all sides. This is serious mountain country (we are, after all, CROSSING THE ALPS!!). Everyone here skis, climbs, goes hiking and wanders round in outdoor gear. I was particularly impressed by one guy I saw riding his bike in his ski boots through town, complete with ski’s and poles stashed expertly along his frame!! From Innsbruck it was up and over Brenner Pass, the next big push in CROSSING THE ALPS! The climb started immediately out of Innsbruck, but we were biking on the old road, looking up at the (new?...newer) autoban which meant we had little traffic. This is the main goods route from Italy to Austria and the highway just seemed packed with trucks. Even the trains were pulled carriages and carriages of trucks! 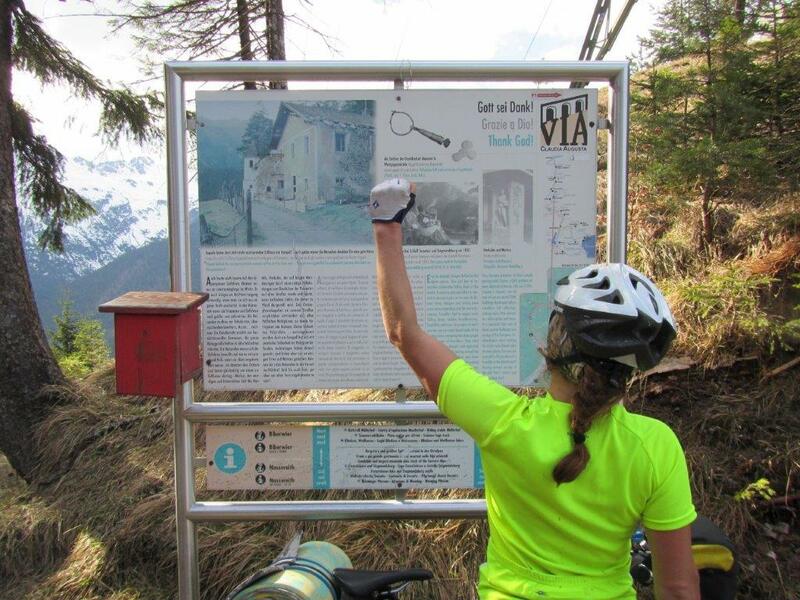 40km uphill (again, completed with determined enthusiasm as we are CROSSING THE ALPS!) 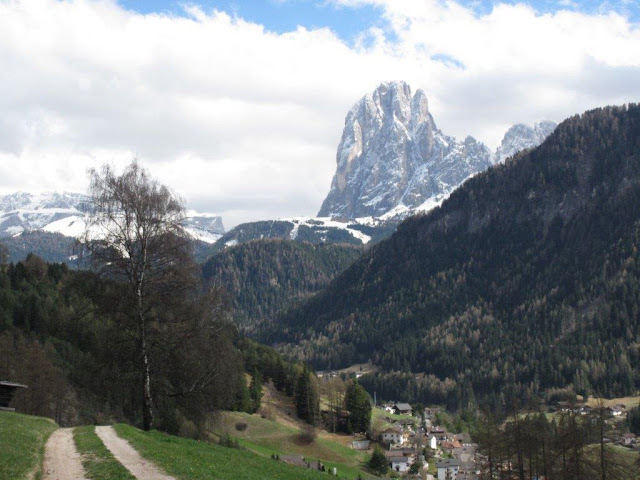 to the top of Brenner Pass – an alpine pass, complete with a HUGE outdoor retail outlet centre. Just what every alpine pass should have!!! (not!) 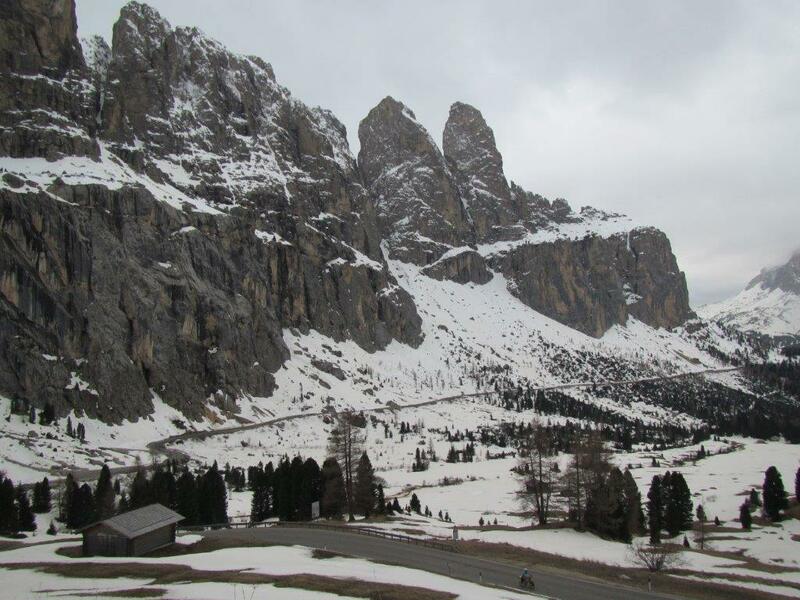 ** see below for more on Brenner Pass. From Brenner, we again had a sweet downhill (another advantage of CROSSING THE ALPS) to Brixen, 50kms down the valley from the border. This valley boasts a river, railway line, old road, autoban and cycle path – often all crossing above and beneath each other, with the autoban being almost entirely built off the ground! An impressive engineering feat – one that is no doubt made easier by the vast numbers of people and goods which travel along it daily. This valley knows some infrastructure! 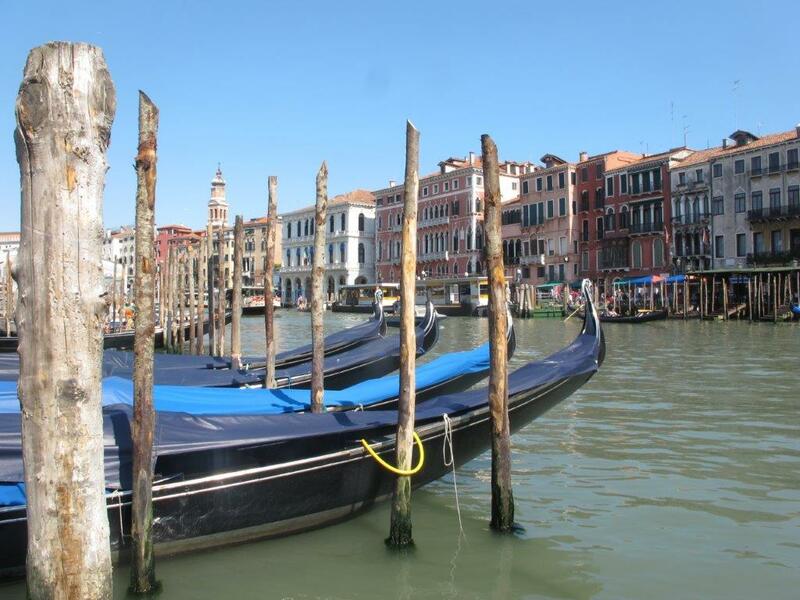 Great to be in Italy – the first impressions was that we had indeed CROSSED THE ALPS! It’s warmer here, people drink wine at lunchtime, there was a jazz clarinettist in our village as well as many pizzarias and cafes. Very cool. 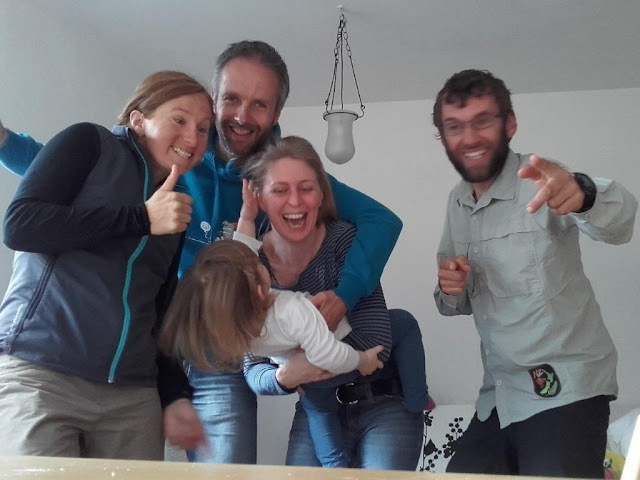 Here we met Moritz and Nadja, an amazing couple who were very generous to us – hosting us, feeding us and even setting us up with their friends and further accommodation up the road which we so appreciated! We really enjoyed a few days of good socialising, resting and route-planning. Great fun hanging out with Moritz, Nadja and Nevis in Brixen. Our CROSSING THE ALPS adventure continued into the Dolomites – a UNESCO World Heritage Site which we were anticipating with great excitement! Sure enough, it provided a few days of FANTASTIC riding – our biggest day ascending from 1400m to 2100m twice over as we passed through the La Gardina area. 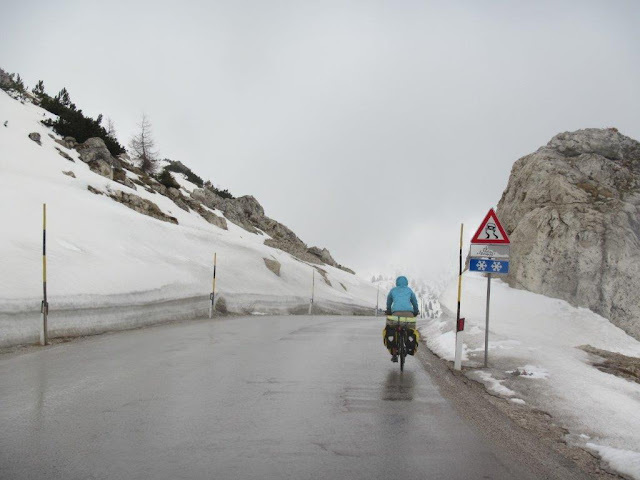 Very cool riding, despite the second pass being covered in mist and fog, complete with hail, rain and a wind chill temperature of well below zero (seemingly appropriate for CROSSING THE ALPS!). 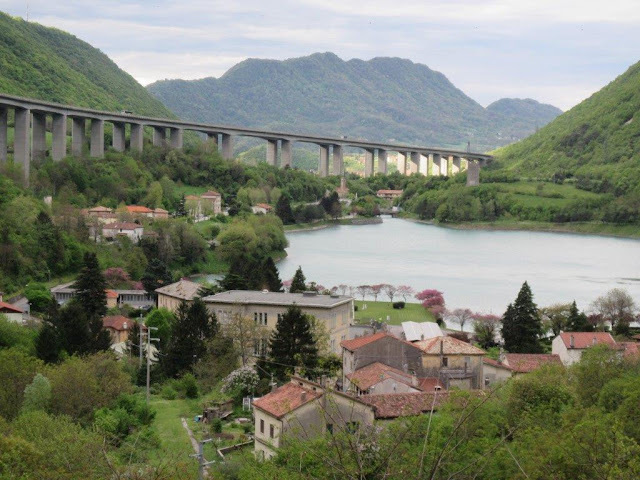 Our descent into warmer climes has seen us through beautiful valleys, past mountain lakes and onto the plains of Northern Italy which are covered in vineyards and small towns. We stopped biking 15km outside of Venice and jumped on the train, and then a ferry to our current spot – Lido, an island just off the coast of Venice. 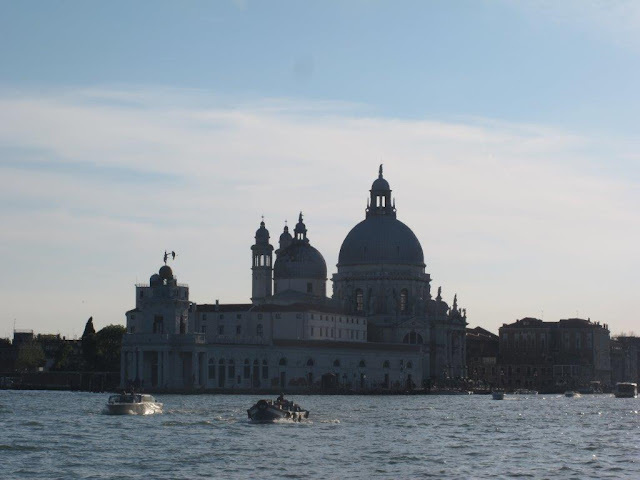 It has been a highlight to wander aimlessly through the alleyways, people watch on the side of the Grand Canal and just take in the atmosphere of such a different city! **Brenner Pass and Refugees: Brenner Pass was (still is) the border between Austria and Italy. The only people who lived and worked here were army officials who managed the border, but as both countries opened their borders in line with the EU the town emptied out of jobs available (hence the shopping centre to bring back some income!). They are currently building a huge refugee holding centre here as from May, the border will again be controlled, the first time in 30 years. As the main “Balkans” route for refugees is closed, Italy is anticipating a huge influx of people making the treacherous crossing from Libya to Italy and then up Brenner Pass and into Austria. Austria will only accept a certain number of refugees each day so work is being undertaken to ensure there is somewhere for the overflow of refugees to stay. I find it incredible that people will make this journey, hundreds of kilometres, by foot or however they can, with little food, money and resources available to them. It is really interesting being in this part of Europe at this time as the refugee crises is a very real part of life here. Outside most supermarkets we have seen people asking for money, which seems like a hard way to get settled and sorted in a new country (although of course, many won’t be getting settled and sorted in these places and are maybe just passing through also). I have been pondering how I should respond to them in a way which is helpful, respectful and appropriate?! Our journey through Italy, up to now. From here we head east towards Slovenia and Croatia. Fantastic read Miri and Andy. Very interesting journey indeed. Loving the maps, dolomites and more maps! What a great time, wow.